Francis Ackerman Jr. is one of America’s most prolific serial killers. Having kept a low profile for the past year, he is ready to return to work – and he’s more brutal, cunning, and dangerous than ever. With attacks coming from every side, Marcus faces a race against time to save the lives of a group of innocent people chosen as sacrifices in the Prophet’s final dark ritual. 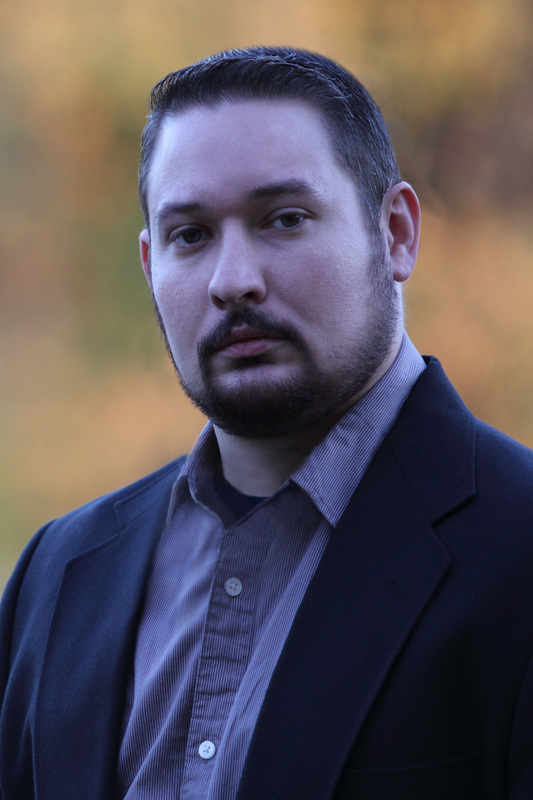 Ethan Cross is the pen name of a thriller author living and writ- ing in Illinois with his wife, two daughters, and two Shih Tzus. In addition to The Shepherd and The Prophet, he has published two novellas––The Cage and Callsign: Knight (with Jeremy Robinson). Francis Ackerman Jr. stared out the window of the dark copper and white bungalow on Macarthur Boulevard. Across the street, a green sign with yellow letters read Mosswood Playground – Oakland Recreation Department. Children laughed and played while mothers and fathers pushed swings and sat on benches reading paperback novels or fiddling with cell phones. He had never experienced such things as a child. The only games his father ever played were the kind that scarred the body and soul. He had never been nurtured; he had never been loved. But he had come to accept that. He had found purpose and meaning born from the pain and chaos that had consumed his life. He watched the sun reflect off all the smiling faces and imagined how different the scene would be if the sun suddenly burned out and fell from the heavens. The cleansing cold of an everlasting winter would sweep across the land, cleansing it, purifying it. He pictured the faces forever etched in torment, their screams silent, and their eyes like two crystal balls reflecting what lay beyond death. He let out a long sigh. It would be beautiful. He wondered if normal people ever thought of such things. He wondered if they ever found beauty in death. Ackerman turned back to the three people bound to chairs in the room behind him. The first two were men—plain-clothes cops that had been watching the house. The older officer had a pencil-thin mustache and thinning brown hair while his younger counterpart’s head was topped with a greasy mop of dark black. The younger man’s bushy eyebrows matched his hair, and a hooked nose sat above thin pink lips and a recessed chin. The first man struck Ackerman to be like any other cop he had met, honest and hard-working. But there was something about the younger man he didn’t like, something in his eyes. He suppressed the urge to smack the condescending little snarl from the younger cop’s ferret-like face. But instead of hitting him, Ackerman just smiled at the cop. He needed a demonstration to get the information he needed, and the ferret would be perfect. His eyes held the ferret’s gaze a moment longer, and then he winked and turned to the last of his three captives. Rosemary Phillips wore a faded Oakland Raiders sweatshirt. She had salt and pepper hair, and ancient pock marks marred her smooth dark chocolate complexion. Her eyes burned with a self-assurance and inner strength that Ackerman respected. Unfortunately, he needed to find her grandson, and if necessary, he would kill all three of them to accomplish his goal. Rosemary’s head swiveled toward the two officers. Her gaze lingered on the ferret. Ackerman saw disgust in her eyes. Apparently, she didn’t like him either. That would make things even more interesting once he started to torture the young cop. His father’s words tumbled through his mind. Her lips trembled, but she didn’t speak. The smell of cinnamon permeated the air but was unable to mask a feral aroma of sweat and fear. Ackerman had missed that smell. He had missed the fear, the power. But he needed to keep himself contained. He couldn’t lose control. This was about information, not about satisfying his own hunger. After several moments of enjoyment with his new toy, Ackerman looked at Rosemary, but she had diverted her gaze. He twisted the handles again, and the officer’s thrashing increased. “Okay, I’ll tell you!” she said. “He’s in Spokane, Washington. They’re set up in an abandoned metal working shop of some kind. Some crooked realtor set it up for them. I’ve tried to get him to turn himself in. I even consider calling the police myself, but I know that he and his friends won’t allow themselves to be captured alive. He’s the only family I have left.” Tears ran down her cheeks. Rosemary’s eyes were full of hate. They burrowed into him. Her gaze didn’t waver. A doctor named Kendrick from the Cedar Mill Psychiatric Hospital had once told Ackerman that he had damage to a group of interconnected brain structures, known as the paralimbic system, that were involved in processing emotion, goal seeking, motivation, and self-control. The doctor had studied his brain using functional magnetic resonance imaging technology and had also found damage to an area known as the amygdala that generated emotions such as fear. Monkeys in the wild with damage to the amygdala had been known to walk right up to people or even predators. The doctor had said this explained why Ackerman didn’t feel fear in the way that other people did. He wondered if Rosemary had a similar impairment or if her strength originated from somewhere else entirely. Then he stood, retrieved his things, and exited onto Macarthur Boulevard. Ackerman tossed his duffle bag into the trunk of a light-blue Ford Focus. He wished he could travel in more style, but the ability to blend outweighed his own sense of flare. He pulled open the driver’s door, slipped inside, and dropped some jewelry and the wallets and purse of his former captives on the seat next to him. He hated to lower himself to common thievery, but everything cost money. And his skill set didn’t exactly look good on a resume. Besides, he didn’t have time for such things. He retrieved a disposable cell phone from the glove box and activated the device. As he dialed and pressed send, he looked down at the small slip of paper that Rosemary had chosen. The words All Die stared back at him. 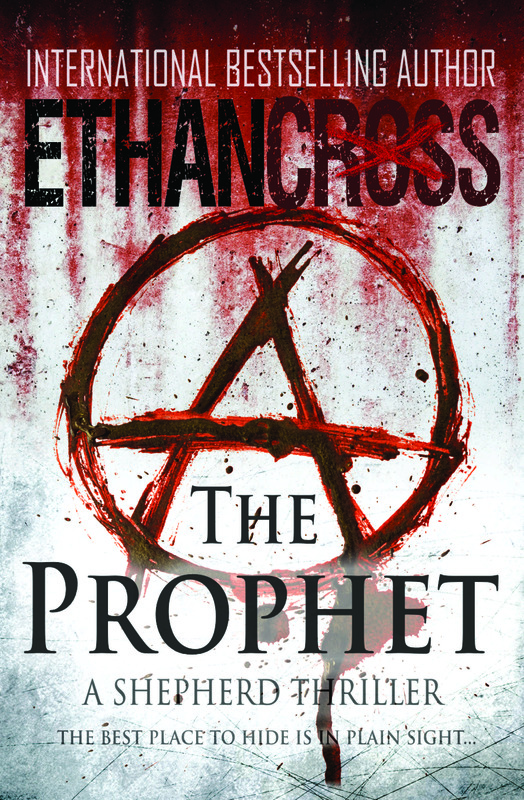 If you’re looking for a thriller that doesn’t let up on the action and keeps you guessing at each turn of the page then, The Prophet could be for you. The action comes thick and fast, with the main characters constantly finding themselves in situations calling for skill, intelligence and heroism. That’s not to say it’s all plain sailing for them, anything but. Character development is good, and this is the second in a series. It does work as a stand-alone, but I did find myself wishing that I had read the first book in the series. Due to the number of characters at times I lost track of who was who and what they were doing, particularly when the action was coming so thick and fast. The story was strong and believable. There were times when plausibility was stretched, but only slightly and it made the overall tale more believable. Some of the detail of the murders might put those of a weak-stomached disposition off a bit, but they’re not too gratuitous and bring home the horror of the crimes, and what is going on and how it is affecting some of the main characters. I will be going back to the first book after reading The Prophet, not because I want to fill in the back story, but because this was a great book and I would like to read more by this author. Although not an author that I had heard of before being asked to review this book, he’s certainly one that I will be keeping my eye on from now on. My Rating: 4 out of 5 Stars – I Really Liked It. 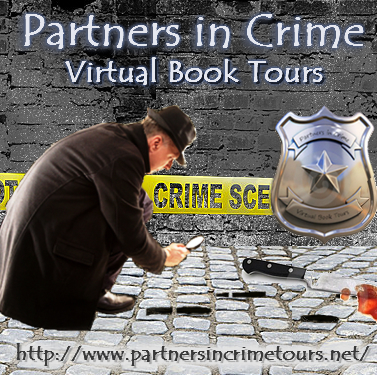 This entry was posted in Book Review, books, Partners In Crime Tours and tagged book, book review, book tour, crime fiction. Bookmark the permalink.